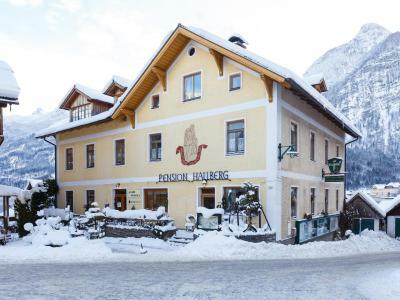 Lock in a great price for Pension Hallberg – rated 9.7 by recent guests! 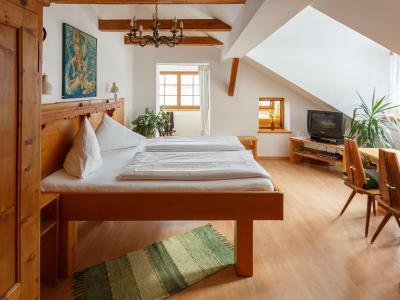 Lovely rooms with fantastic views and perfect location. Very clean and tidy. Very friendly hosts with suggestions about sights. 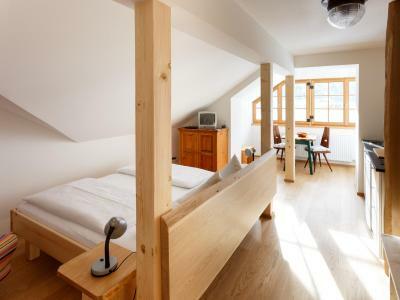 Excellent three nights stay in Hallstatt. Every morning woke up with completed different lake view. It is so amazing. Definitely worth the money! Will come back in future. Highly recommended. The owner is very friendly and helpful. The room is very clean with nice lake view. Perfect! 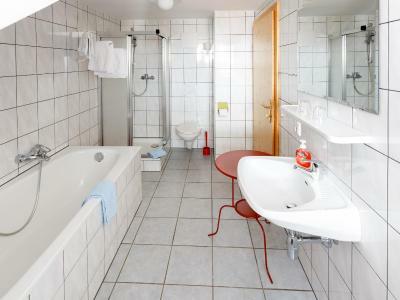 Superfriendly owners, spectacular viel of the lake from a big, clean and comfy room. 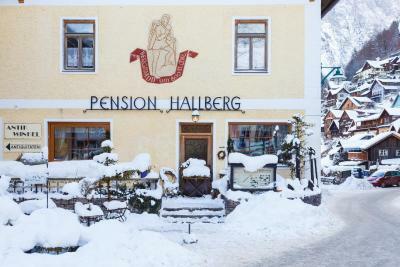 pension Hellberg host is coupled with elder age, they are a pure traditional natural town host, the pension house is their home, you can see how much they take care of their home and their tenant, I got chocolate first day when I opened my door, second day I got flower.... and so on... 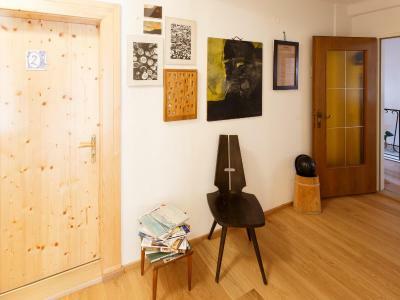 I like her typical dress which you can feel like home, great feeling when you see the house as well, the glass cabinet along the stairs of the house shown lots of recovers from the Hallstatt lake with history story. 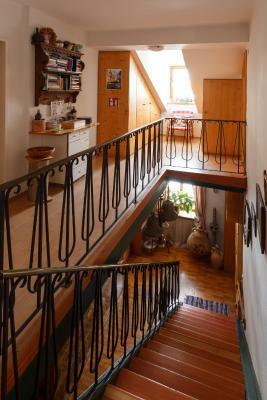 it is a really great to have experienced that live in such typical house. appreciate all the information he and she gave to me , i am luck to choose this place. I had my own room with a kitchen there. Everything there was much BETTER than I had imagined. I will be going back in September of 2018! Gerda and Eckbert were exceptional hosts. Warm and friendly. Everything kept spotlessly clean and view was amazing! The view to the lake is amazing! The kitchen is well equipped for cooking. They even provide a small (First-Aid) station out in the corridor with cake, cookies, tea, nuts and cooking oil! Free and fast shuttle ride from the parking to the accommodation. Very nice and friendly staff. 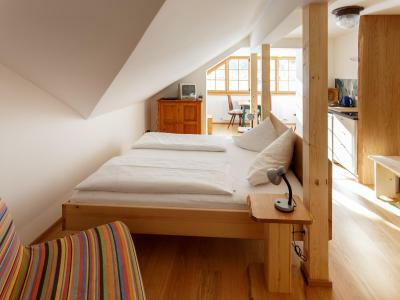 Clean and spacious (for 2 persons) room. 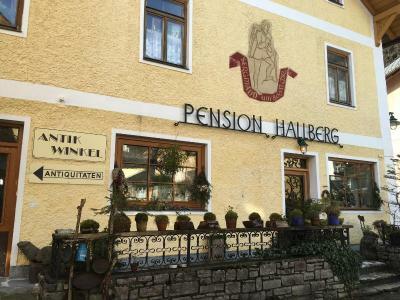 The Pension Hallberg is beautifully set at the shores of the picturesque Lake Hallstatt. The free ski bus stops a 10-minute walk from the house, and it takes 10 minutes to reach the Dachstein Krippenstein ski resort. The car-free city center lies 650 feet away. 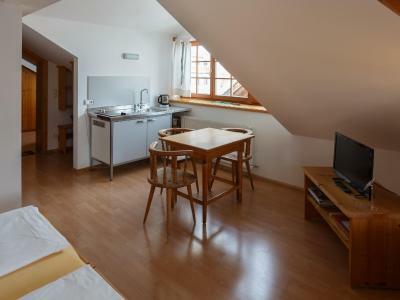 All accommodations units at the Hallberg Pension are en suite and come with free WiFi. Most offer panoramic views of the lake. The guest house contains its very own Diving Museum. Guests can rent electric bicycles in front of the property. The closest grocery stores are just 2 minutes away on foot. The P1 car park is 0.6 mi away, and a free shuttle service to the hotel is available. 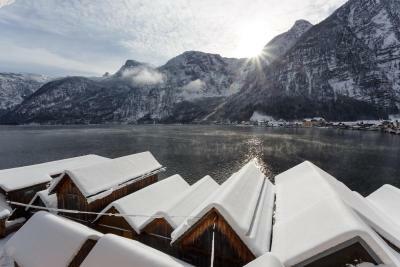 This is our guests' favorite part of Hallstatt, according to independent reviews. 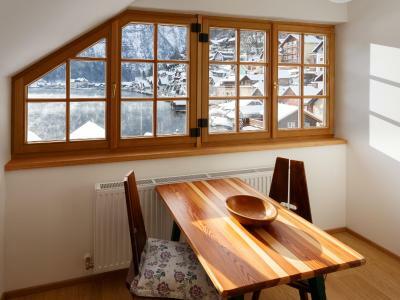 This property also has one of the top-rated locations in Hallstatt! Guests are happier about it compared to other properties in the area. 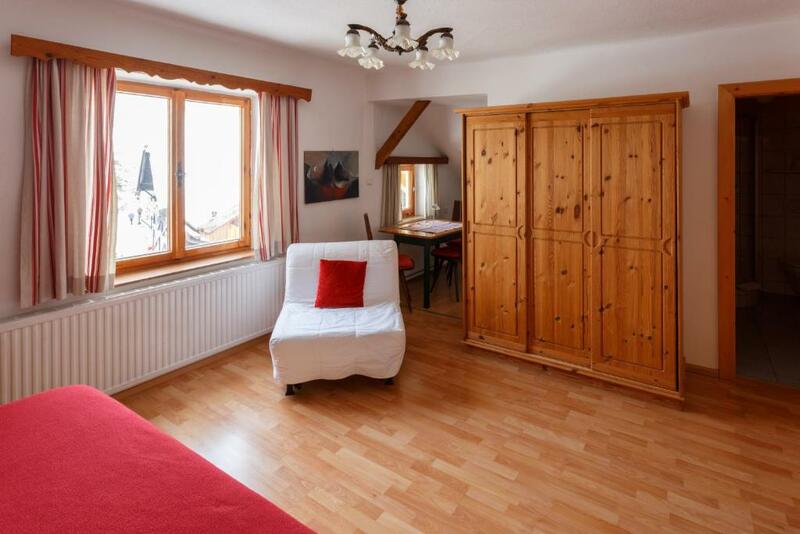 This property is also rated for the best value in Hallstatt! Guests are getting more for their money when compared to other properties in this city. 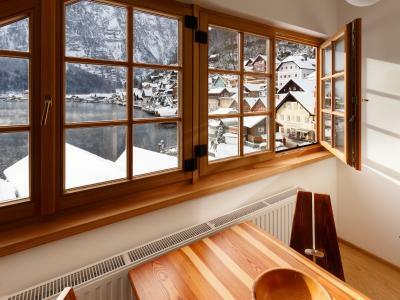 뀐 Located in the top-rated area in Hallstatt, this property has an excellent location score of 9.8! 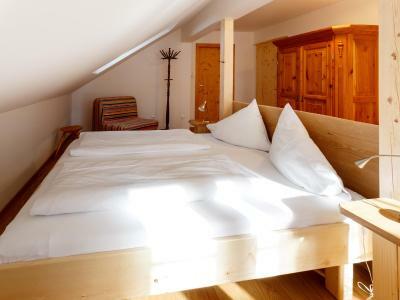 When would you like to stay at Pension Hallberg? 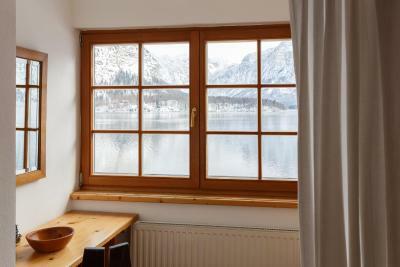 This spacious room is decorated with modern and rustic wooden furnishings and comes with a seating area, offering panoramic views of the mountains and the lake, a bathroom with a bathtub or shower, and a refrigerator. 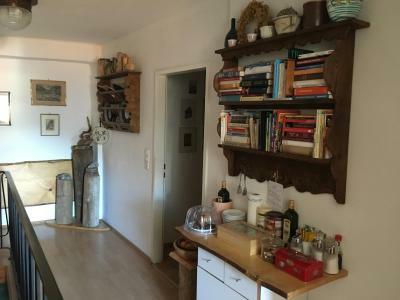 This studio features modern and rustic wooden furnishings and comes with a seating area, offering panoramic views of the lake, and a bathroom with a shower. This studio features modern and rustic wooden furnishings and comes with a seating area, a kitchenette and a bathroom with a shower. From the seating area, guests can look onto Hallstadt´s Prehistoric Museum. House Rules Pension Hallberg takes special requests – add in the next step! Please note that for guests outside of the EUR zone, the payment via SIX will be charged in their local currency. The bed was comfortable but could have been better. In the past this may have been a full service B&B. The hosts are now operating strictly as self service apartments (no breakfast or services). Follow thier arrival instructions carefully. As long as you know what to expect you will love staying at Hallberg. 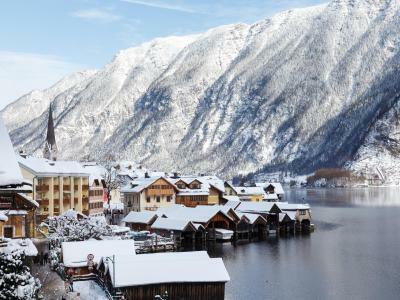 Side note: Hallstatt is packed with Asian tour groups from 9:30 to 18:00. Enjoy the town early and late and head to the mountains during the day. I read in the comments about the extra soft pillows! That was true. We took our own pillows there (problem solved). Walls are a bit thin and we could hear the neighbours talking and people walking in the corridor but very briefly. So it was not annoying. Fabulous Location. Very friendly owners. Center of the town，a couple of warm old houseowners，extremely beautiful view from the room, extremely wonderful experience. Location is totally amazing. Great view and the owners are super friendly. 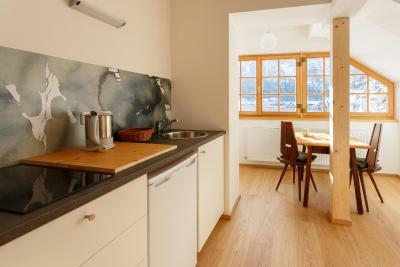 Perfect location, amazing view from the window on the Lake and well equipped kitchen! Gerda and Eckbert Winkelmann - wonderful guesthouse owners! They can help with everything and give advaces about the best "must-see" places. Encredibly nice people!! !